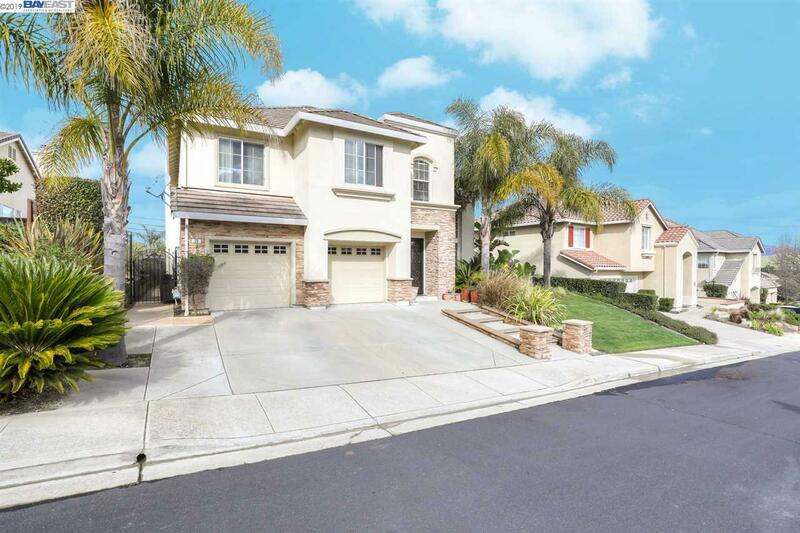 Charming Home In Westside San Ramon That Is Over Quarter Acre Lot Size W/ Views Of Mt. Diablo! Home Features Custom Front Iron Doors, Tile & Hardwood Floors, Gourmet Kitchen W/ Custom Cabinetry, Granite Counter Tops, Viking Stainless Steel Appliances, Custom Bench Seating, Sanyo TV Projector In Family Room W/ Big Screen & Wired For Surround Sound, Laundry Room W/ Granite Countertops, Master Suite W/ Views Of Mt. Diablo & Overlooking Backyard, Jr. Suite W/ Own Full Bathroom, Sunroom Off Family Room That Extends Into Backyard W/ Ohaulsen Pool Table, Pool W/ Slide, Backyard Also Features Custom Tiki Hut Lounge W/ Seating, Minutes To 580/680 Freeways & New City Center, Top Rated Schools, This Home Is A Must See!! !